"An innovative grease recovery technology that results in increased profits, cost savings, and process improvement exceeding customer expectations, reliability and compliance requirements for years to come"
as cost controls have become ever so urgent. Many Grocery chains, hotels, and shopping mall food courts, claim 100% sustainability with Zero waste. 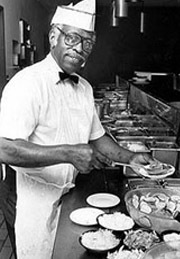 Grease trap waste is a neglected aspect of sustainability in the foodservice industry. Goslyn is the only truly sustainable grease recovery device on the market. Goslyn Grease Recovery Devices produce zero landfill waste. The recovered grease is recycable for future biodiesel use. Grease trap pumping is unnecesarry as the recovered grease is recycled daily. Goslyn systems do not store rotting rancid grease waste. No Grease Trap Odours ! The unwanted sight, sound and associated cost of grease trap pumping is eliminated. A Goslyn does not leave a footprint in the sanitary sewer, septic system, or landfill sites. 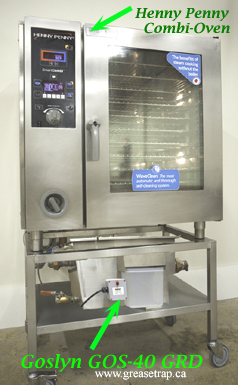 Goslyn Grease Recovery Devices do a complete job of recovering grease from combi-ovens and chicken rotisseries as well as grease from 3-compartment sinks and automatic dishwashers. 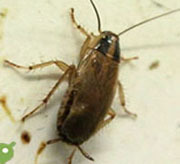 Working With Rancid and Smelly Drains Daily? Blocked Drains, Trap Overflow - Waiting on the Plumbers? 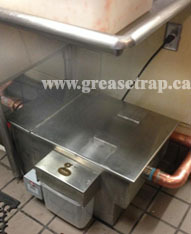 Kitchen staff do not want to touch a standard grease trap or grease interceptor. Rancid smells from standard grease traps are inhumane. Grease blockages and backups create slippery and unsafe conditions. A practice of waiting for chicken rotisserie pans to cool down enough to handle but hot enough for the grease to remain liquid can be hazardous. Kitchen staff are non-productive when cleaning rancid grease traps and grease blocked drains. Goslyn Grease Recovery devices complete a professional foodservice facility. What are your grease trap maintenance expenses in the last 5 years? Your Grease Trap Expenses are higher than you think! Still Paying for Grease Trap Pumping? The Stainless Steel Grease Interceptor Taking Over Alberta, British Columbia, Saskatchewan, Manitoba, Ontario, Quebec, Nova Scotia, New Brunswick, PEI, and Newfoundland & Labrador. Manufactured by Goslyn.